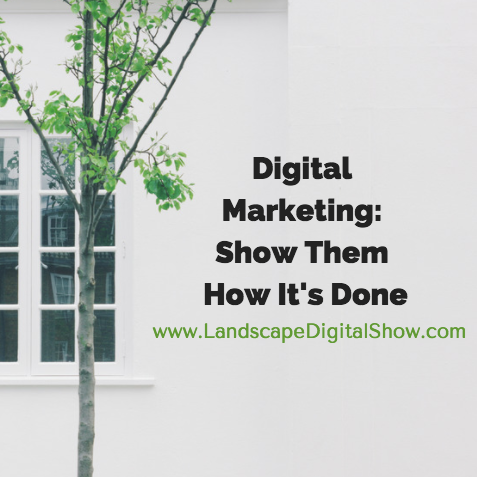 Episode 56 of Landscape Digital Show reveals why the secret to digital marketing is showing your customers how your work is done. If you have been a subscriber or member of Landscape Digital Institute for a while you know that I typically close out my emails with this: Now go out there and show them how it’s done! Your purpose, your mission, is to get out there every single day and serve the people that are now your customers, however many or few there are, for one very important reason. That base of customers is everything when it comes to your digital marketing because they are your link to new business. If they are not talking you up on the digital channels you may have to rethink what and how and maybe even why you are doing the work that you do today. The fact is people talk and share what’s part of their daily lives. If they appreciate and trust you they will share that with friends. It’s all about inquiry and being top of mind. Let’s assume that your products and services are better than most. They work. They get the job done. That’s enough, right? Not exactly. 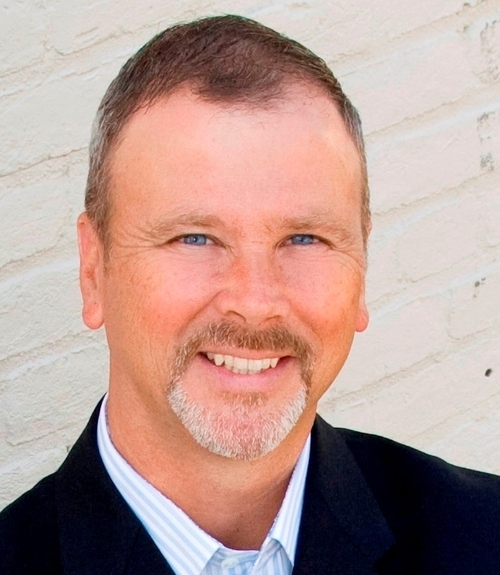 How your business accomplishes its work, and why, is vitally important. And because that can get a little messy from time to time, it necessarily makes live social media and other forms of digital marketing points of vulnerability. This is why more conservative companies tend to shy away from digital marketing, especially social media. They prefer to polish their marketing to a mirror shine to get rid of all the wrinkles and warts. There’s nothing wrong with that because we all need our glamor photos and pieces of marketing that fluff up the business to that perfect version of itself. But that’s not going to get talked about because it’s not engaging. People want to see how things work. They want to know how the secret sauce is prepared and why those special ingredients matter. Consider that next landscaping project or lawn care treatment to be a meal. Is it enough for it to be tasty? For some people, yes, especially the ones that know you well and trust you. These are your current customers. But what about the customers your business has yet to serve? They are not going take everything at face value because everyone has slightly different decision-making criteria. More than anything, new buyers are wondering if they can trust you. And you know how that works. You never trust anybody just because they say you should. You trust people that show you they are trustworthy. Embedded within the experience of discovering, acquiring, using, and enjoying what you sell is the key to getting your company talked about because that’s where trust is earned. It’s seldom just the transaction of acquiring what you sell that matters because that’s just a moment in time. It’s something else that either precedes or follows it that is worth remembering and sharing. That may be how you open the door to new relationships or transition your customers from the design to the construction phase, and then to caring for their property. 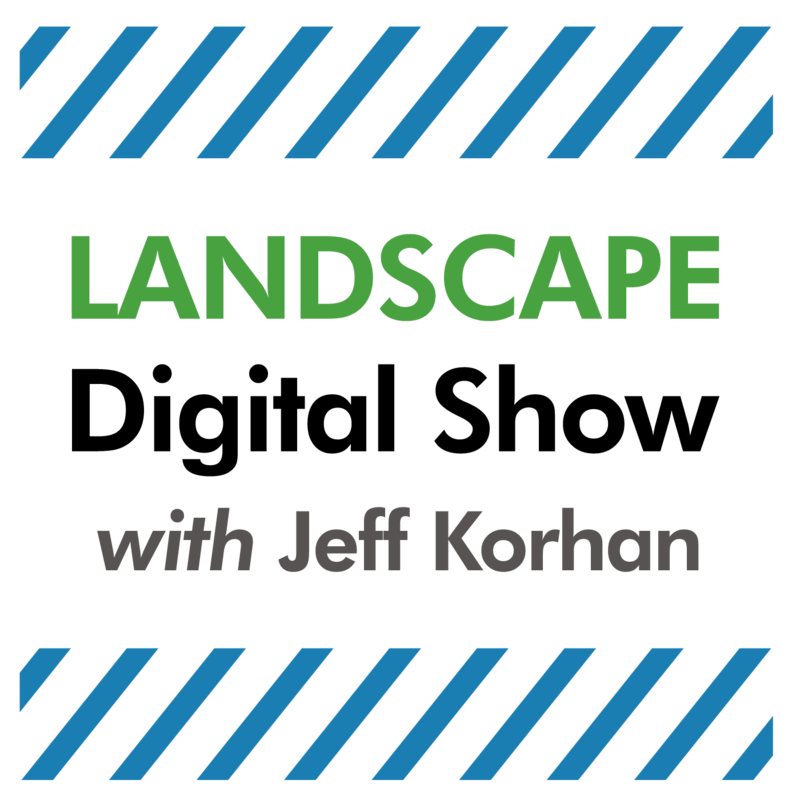 For my former landscaping business, it was helping people to dream bigger. We loved that challenge because it’s easier for people to buy into ideas that are better than they dreamed were possible, even if they do cost more money. Most important is that we created a system that showed how we were going to make that possibility happen. Neuroscience assures us that most people make decisions by trusting their gut, their intuition. It also assures us people will not make a decision until they have a mental picture of how everything will play out and why they can trust your business to make that vision reality. Showing your customers how things are done not only builds relationships and earns trust, it also gives them more to share that will get people talking about your business. Show your customers how everything about your business works so they can become its advocates to the new customers you have yet to discover. That’s how this crazy thing we call digital marketing works and why video is absolutely exploding, especially raw, unpolished, live video that assures us we are getting the real thing. This week I’m off to Social Media Marketing World in San Diego where I hope to make new discoveries about live video and more that I can bring back to you. If you are not attending, you can still register for the digital pass to get the recordings of over 200 expert sessions. Look for updates on the Landscape Digital Institute Facebook Page.